Mid-range smartphone segment in India has particularly become a very competitive space, resulting in some great buying options for consumers. Apart from battery, the other big draw for smartphone purchase is camera. Some mid-range offerings have impressive camera modules that are able to take good quality photos and videos. While there are a host of good mid-range options priced under Rs. 15,000, there are only a few whose camera capabilities impressed us. For those who want to see comprehensive lists, we've compiled an updated list of the best mobile phones under Rs. 15,000, and best mobile phones under Rs. 10,000 as well. The phones featured in the below article are the best camera phones from the former list that scored at least an 8 in the camera department as part of our comprehensive process. This means that we've restricted ourselves to phones under Rs. 15,000 that we've tested ourselves, and ones that scored 8 overall, which means you are getting a very good phone, no matter which option you pick. Without any further delay, let's take a look at our picks for best camera phones under Rs. 15,000. Xiaomi, for the first time, debuted the Redmi Note 7 Pro (Review)) in India and then made it available in China a bit later. This India-first phone comes with a 48-megapixel main camera using the Sony IMX586 sensor with an f/1.79 aperture and 1.6-micron pixel size. It is accompanied by a 5-megapixel depth sensor. Up front is a 13-megapixel camera to take care of selfies. As far as features go, the list includes AI Portrait mode, AI Studio Lighting, AI Dynamic Bokeh, slo-mo video recording, and 4K video capture. In our review, we found that the Redmi Note 7 Pro definitely raises the bar for smartphone photography in its price bracket. It captures beautiful images with ample detail, high dynamic range, and good vibrancy. The device shines especially when it comes to close-up shots. Colours were punchy and gradients were reproduced nicely in our sample shots, while surface details such as grooves and ridges were also captured in great detail. We were particularly impressed by the portrait shots and night photography as well. Xiaomi has launched two storage variants of the phone in the country – 4GB of RAM + 64GB of onboard storage (Rs. 13,999) and 6GB of RAM + 128GB of onboard storage (Rs. 16,999), though only the former makes it to this list of best camera phones under Rs. 15,000. (Review) – also comes with an impressive camera under the Rs. 15,000 price bracket. Talking purely about hardware, the Mi A2 has a dual rear camera setup that consists of a 12-megapixel Sony IMX486 sensor along with an f/1.75 lens and a 20-megapixel Sony IMX376 sensor along with 4-in-1 Super Pixel tech and an f/1.75 lens. For selfies, there is a 20-megapixel sensor at the front that is accompanied by a soft-light LED flash. We found that the photos taken with the Mi A2 outdoors have a good amount of detail and colours are quite accurate. Macros were sharp and the phone managed good separation between the subject and the background. In low light, the Mi A2 bumps the ISO up and lowers the shutter speed to help the primary camera capture more light. Selfies are detailed and we got sharp results when shooting indoors. Video stabilisation is available for the rear camera, and helps you capture steady footage. The Xiaomi Mi A2 is available in India in two RAM + Storage options – 4GB RAM + 64GB storage (Rs. 11,999) and 6GB RAM + 128GB storage (Rs. 15,999). (Review) also offers competitive specifications in the under Rs. 15,000 price bracket. The phone particularly makes it to this list for its photo-taking abilities, and in our review we've mentioned how the phone fares in the camera department. The Realme 2 Pro packs in a 16-megapixel main rear camera with an f/1.7 aperture, which captures good detail in daylight. The second 2-megapixel sensor is only used for depth calculation. It sports a 16-megapixel front sensor, and you can also make use of bokeh effects, HDR, and a screen flash. In our review, we discovered that images shot in the ‘Portrait' mode look good, with good edge detection and sharpness on our subjects, even under artificial lighting at night. In landscape shots, we noticed good dynamic range and colours, with plenty of details even in smaller objects, such as leaves on trees at a distance. The wide aperture produces a pleasing bokeh effect in close-up shots, which once again is handled well, with the overall package giving it a place in our list of best camera phones under Rs. 15,000. The Realme 2 Pro is available in a slew of RAM + Storage options in India – 4GB RAM + 64GB storage (Rs. 11,990), 6GB RAM + 64GB storage (Rs. 13,990), and 8GB RAM + 128GB storage (Rs. 15,990). (Review) has seen a successful run in the country, particularly because of its impressive specification package at an affordable price. 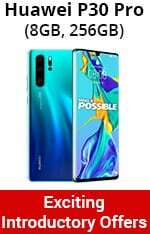 The phone was earlier launched in 3GB RAM and 4GB RAM options, but later a 6GB RAM option was also made available with a better camera module as well. In the camera department, the 3GB RAM/ 4GB RAM variant of the ZenFone Max Pro M1 bears a dual rear camera setup with a primary 13-megapixel Omnivision sensor, with f/2.2 aperture, and a secondary 5-megapixel depth sensing sensor, both with LED flash. On the front, the variant comes with an 8-megapixel selfie camera that offers a 5P lens, an 85.5-degree lens, and an aperture of f/2.0. The 6GB RAM variant however has a 16-megapixel (f2/.0) + 5-megapixel rear camera combination and a 16-megapixel selfie camera (f/2.0). While both the Asus ZenFone Max Pro M1 (Review) and Asus ZenFone Max Pro M1 (6GB) (Review) had impressive camera setups, the 6GB RAM variant was able to deliver more accurate colours, detail, and exposure. In unfavourable light, images captured with the 6GB RAM variant were more detailed and had less noise. As mentioned, the phone is available in 3GB RAM + 32GB storage (Rs. 8,499), 4GB RAM + 64GB storage (Rs. 10,499), and 6GB RAM + 64GB storage (Rs. 12,499) options. , our weekly technology podcast, which you can subscribe to via Apple Podcasts or RSS, download the episode, or just hit the play button below.